​and during times noted below. Ash Wednesday is one of the most popular and important holy days in the liturgical calendar. Ash Wednesday opens Lent, a season of fasting and prayer. The practice includes the wearing of ashes on the head. The ashes symbolize the dust from which God made us. As the priest applies the ashes to a person's forehead, he speaks the words: "Remember that you are dust, and to dust you shall return." All are invited to accept the ashes as a visible symbol of penance. Even non-Christians and the excommunicated are welcome to receive the ashes. The ashes are made from blessed palm branches, taken from the previous year's palm Sunday Mass. The great event of the Annunciation reveals the path to salvation and to cultural recovery. The little Virgin of Nazareth teaches us how to live our real lives in a real world! When the Angel of the Lord appeared, bearing the message and calling her to a special mission, she said "YES." We must say "Yes" as well and believe that "nothing is impossible with God." Let's consider her response to the message: "I am the handmaiden of the Lord; let it be to me according to your Word." It is in these words that we discover the heart of the Christian vocation. ​A week later, Christ would rise from the dead on the first Easter. Good Friday is the day on which Jesus Christ, having been betrayed by Judas and sentenced to death by Pontius Pilate, was crucified. On this day, Jesus died on the cross for us and saved us from our sin. Prior to death, Jesus spoke His last words, "My God, my God, why have you forsaken me?" 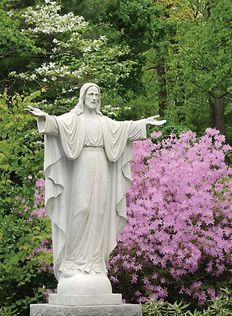 Between the May Crowning, May 7, and Mother's Day, May 14, the National Shrine Grotto will place a rose for each donation made online at the altar of the Grotto's Chapel. 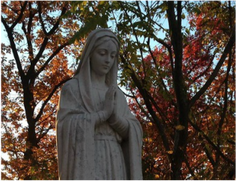 Help us shower Our Blessed Mother, Queen of Heaven, with roses! Between May 13 and October 13, 1917, three Portuguese children received apparitions of Our Lady near Fatima, a city 110 miles north of Lisbon. Mary asked the children to pray the rosary for world peace, for the end of World War I, for sinners and for the conversion of Russia. The third visionary, Lucia dos Santos, became a Carmelite nun and died in 2005 at the age of 97. 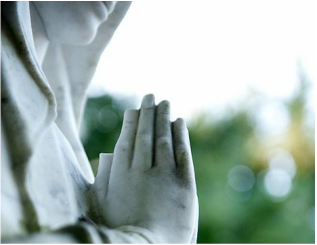 ​For one hundred years, the miraculous apparitions of Our Lady at Fatima have been inspiring the faith of millions. Mary, on this day when we honor all mothers, we turn to you. We thank the Lord whom you serve for the great gift of motherhood. Never has it been known that anyone who sought your intercession was left unaided by grace. ​Dear Mother, intercede for all of our mothers. May they find daily strength to say yes to the call to the sacrificial love- the very heart of the vocation of motherhood. May their love and witness be a source of great inspiration for all of us called to follow your Son. ​Between the May Crowning, May 7, and Mother's Day, May 14, the National Shrine Grotto will place a rose for each donation made online at the altar of the Grotto's Chapel. God of power and mercy, you destroy war and put down earthly pride. Banish violence from our midst and wipe away our tears, that we may all deserve to be called your sons and daughters. Keep in your mercy those men and women who have died in the cause of freedom and bring them safely into your kingdom of justice and peace. We ask this though Jesus Christ our Lord. We pray for our own fathers around the world whose children are lost or suffering; may they know that the God of compassion walks with them in their sorrow. We pray for men who are not fathers but still mentor and guide us with fatherly love and advice. We remember fathers, grandfathers and great grandfathers who are no longer with us but who live forever in our memory and nourish us with their love. ​Sacred Heart of Jesus, I place all my trust in you! Our Lady of Perpetual Help, Model of Christian love, we know we cannot heal every ill or solve every problem. But with God's grace, we intend to do what we can. May we be true witnesses to the world that love for one another really matters. May our daily actions proclaim how fully our lives are modeled after yours, Mother of Perpetual Help. Light a candle to light your way to compassion! During the Feast of the Assumption of the Blessed Virgin Mary we lift up our hearts in a time of repose. 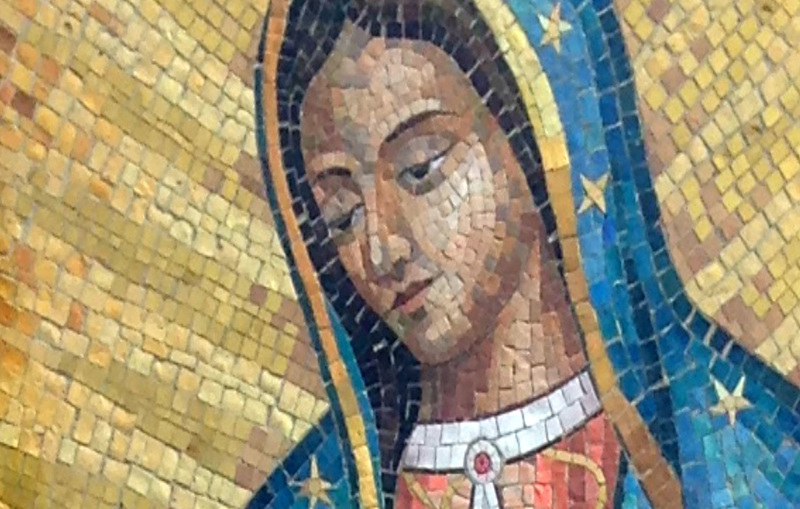 We contemplate Mary's beauty and recognize a time of consolation where we reflect on the reward that Mary enjoys. In the Assumption we look forward to sharing what Mary already possesses, the final glory marked out for her by God. 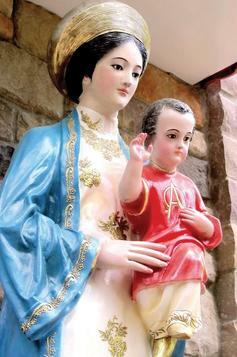 More than 3,000 Vietnamese Catholics celebrate Mass annually at the National Shrine Grotto. The pilgrimage brings together worshipers from 19 Vietnamese communities in the mid-Atlantic states. Several priests celebrate the afternoon Mass in Vietnamese, and other church members perform traditional songs and dances. The Blessed Virgin Mary was born to be the mother of the Savior of the world, the spiritual mother of all mankind, and the holiest of God's creatures. Because of her Son's infinite merits, she was conceived and born immaculate and full of grace. Through her, Queen of heaven and of earth, & the will of the Trinity, the unbelieving receive the gift of faith, the afflicted are tendered through the works of mercy, and the members of Christ grow in likeness of Him. The Handmaid of the Lord, the Virgin Mother of all the faithful, whose entire life is united in perfection and holiness to the Incarnate Word's mission of Salvation, returns again and again to us through the rosary, exercising her office as motherly intercessor, caring for her children, directing them always and everywhere to her Son. Please limit costumes to Catholic themes - ghosts, skeletons, and pagan themes are considered to be out of place at the Grotto - this is holy ground. Saints - past, present, and future - are welcome, as well as heroes of the Old Testament. The occasional cowboy, ballerina or firefighter is OK for the younger children. We will be outdoors on the mountain – Please dress for the weather. Sunset will be at 6:08 pm. If you have Family Radio Service radios (GMRS radios), please bring them to listen to the rosary leaders. Bring something for the kids to carry their candy in! 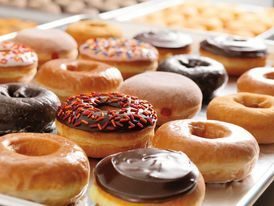 ​We are in need of volunteers to assist with distribution of treats to the kids. Helpers can be older kids (teenagers), grandparents and friends and CAN be in costume! Today the Church celebrates all the saints: canonized or beatified, and the multitude of those who are in heaven enjoying the beatific vision that are only known to God. During the early centuries the Saints venerated by the Church were all martyrs. Later on the Popes set November 1 as the day for commemorating all the Saints. We all have this "universal call to holiness." What must we to do in order to join the company of the saints in heaven? We "must follow in His footsteps and conform [our]selves to His image seeking the will of the Father in all things. [We] must devote [our]selves with all [our] being to the glory of God and the service of [our] neighbor. In this way, the holiness of the People of God will grow into an abundant harvest of good, as is admirably shown by the life of so many saints in Church history" (Lumen Gentium, 40). Thanksgiving and Christmas Days: Grounds ONLY will be opened from 8:30 a.m. to 4:30 p.m. (gates close at 5 p.m.). The chapels, Miller Family Visitors Center and St. Bernadette's Gift Shop will be closed all day. Our Lady of Lourdes, your apparitions tell us so much about you. They remind us to reach out and help those in need. Help us to understand that our lives belong to those who are suffering and lonely. Help us to welcome them into our loving embrace like you did for Jesus. "Know for certain, least of my sons, that I am the perfect and perpetual Virgin Mary, Mother of the True God through whom everything lives, the Lord of all things near and far, the Master of heaven and earth. Here I will demonstrate, I will exhibit, I will give all my love, my compassion, my help and my protection to the people. I am your merciful mother, the merciful mother of all of you who live united in this land, and of all mankind, of all those who love me, of those who cry to me, of those who seek me, of those who have confidence in me. Here I will hear their weeping, their sorrow, and will remedy and alleviate all their multiple sufferings." This Christmas, peace and love will shine as we celebrate the birth of Jesus Christ at National Shrine Grotto of Our Lady of Lourdes! 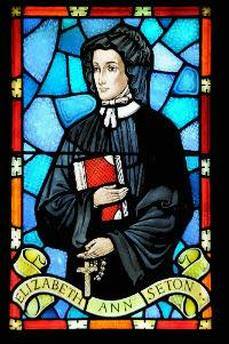 Celebrate her feast day where she is entombed, Basilica of the National Shrine of St. Elizabeth Ann Seton. 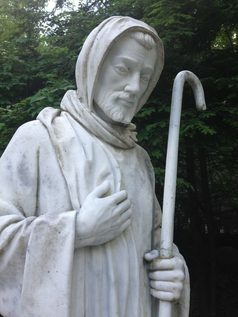 ​Only three miles distance from the National Shrine Grotto! On January 22, 1973, the Supreme Court invalidated 50 state laws and made abortion legal and available on demand throughout the United States in the now-infamous decisions in Roe v Wade and Doe v Bolton. The MARCH FOR LIFE in Washington, D.C., began as a small demonstration and rapidly grew to be the largest pro-life event in the world. The peaceful demonstration that has followed on this somber anniversary every year since 1973 is a witness to the truth concerning the greatest human rights violation of our time, legalized abortion on demand. Around this time of year, we are especially reminded of the importance, necessity and power of prayer for our life issues. We would be most grateful if you would consider praying for the March for Life in these final days and moments, and more importantly, for the ultimate reason we exist— that a culture of life be fully restored in the United States. Bring your family and invite others to peacefully pray with Our Mother of Hope and us! Celebrate Sunday Mass in the beautiful blend of the Spanish and English languages. Join the National Shrine Grotto pilgrims and staff while we enjoy refreshments together.